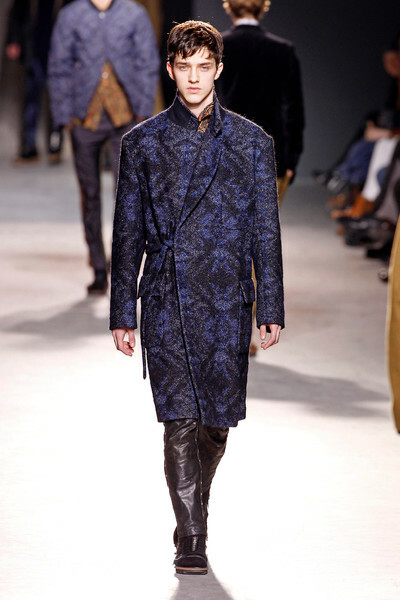 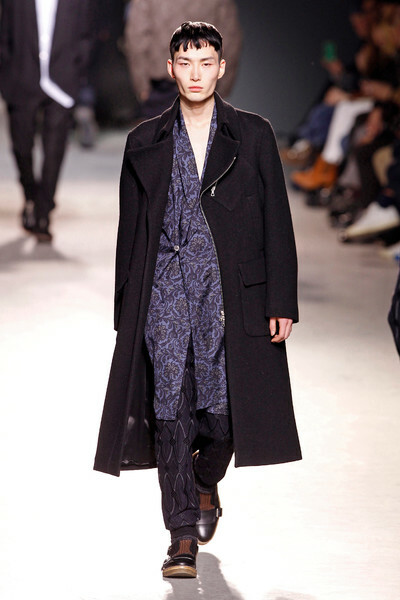 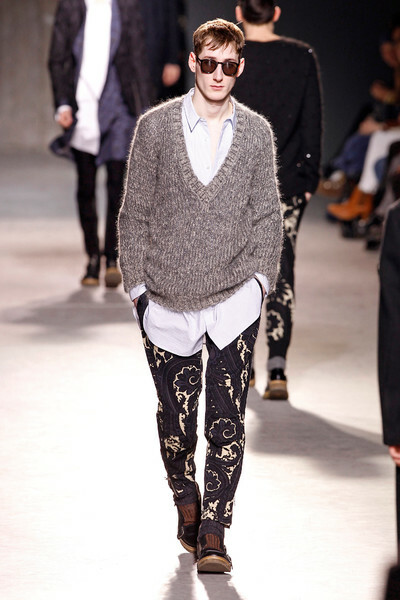 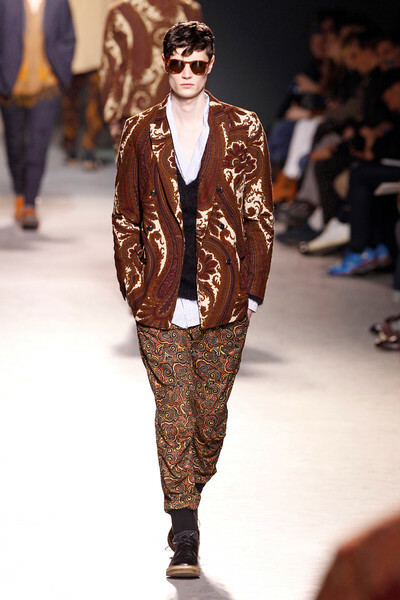 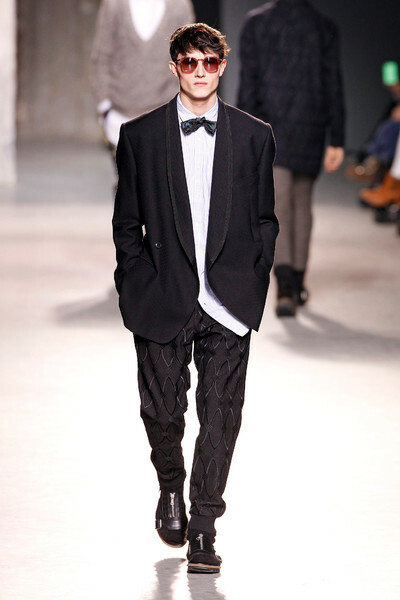 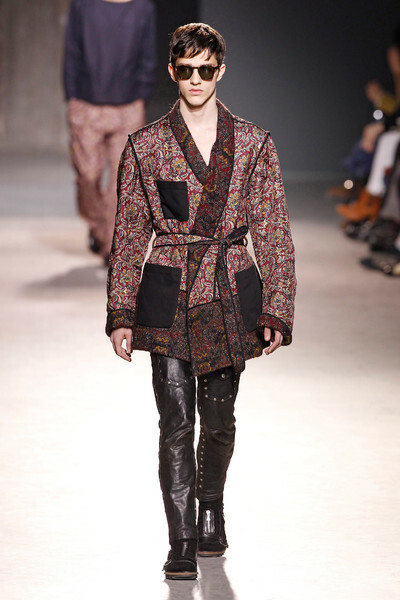 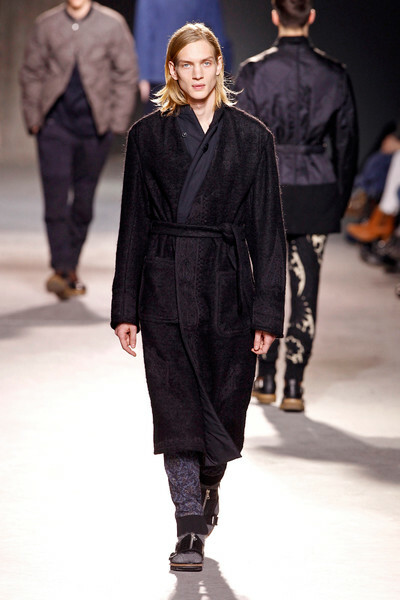 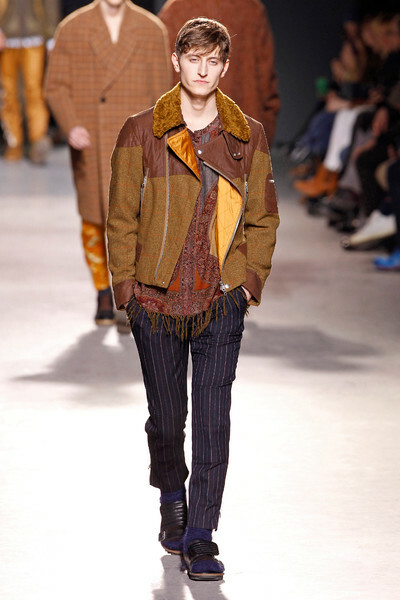 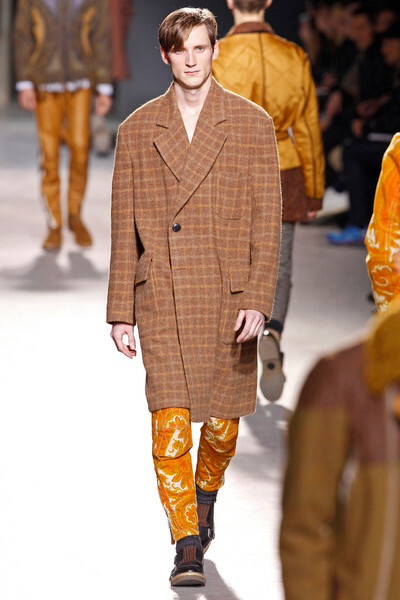 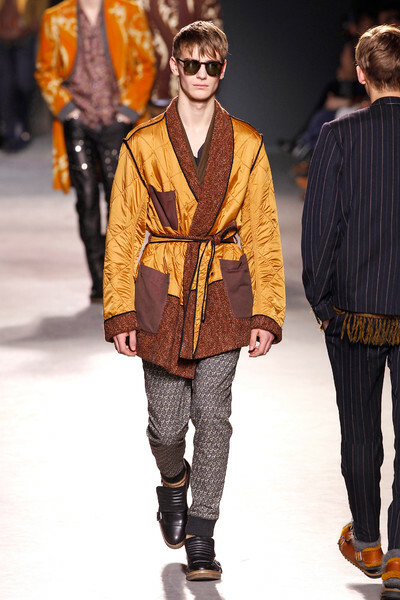 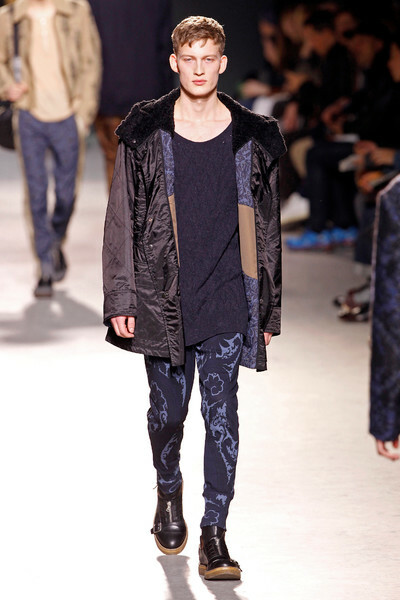 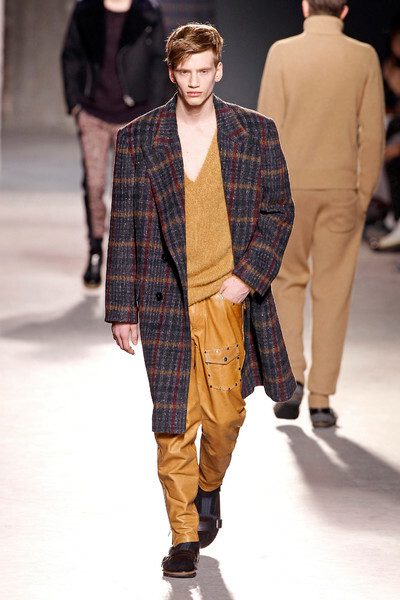 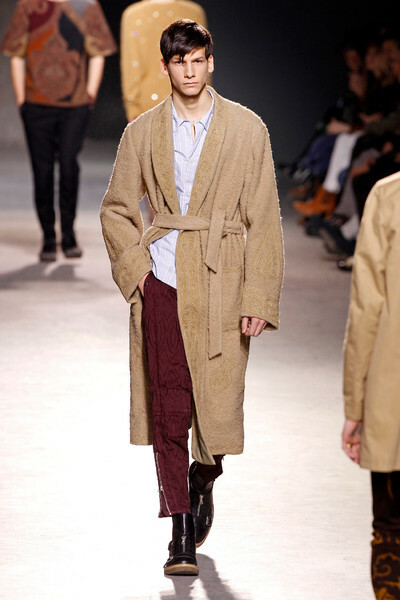 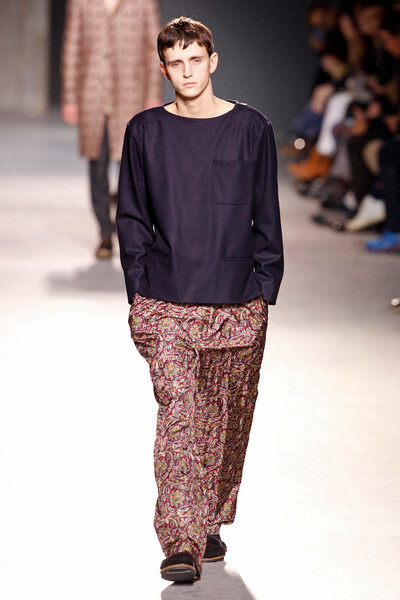 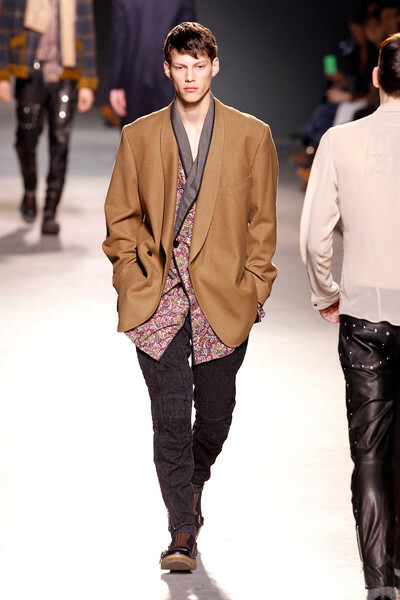 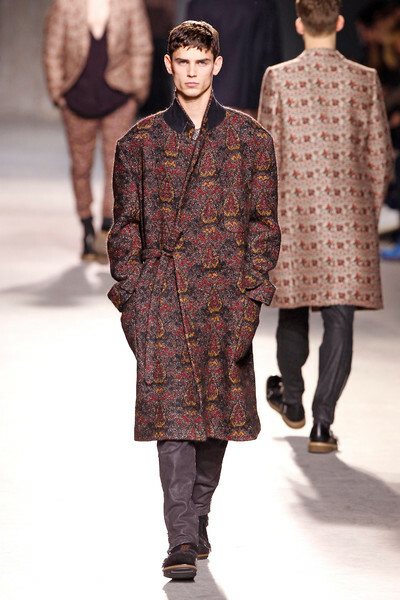 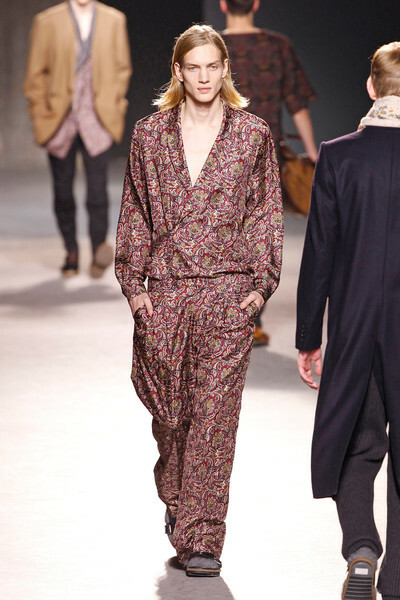 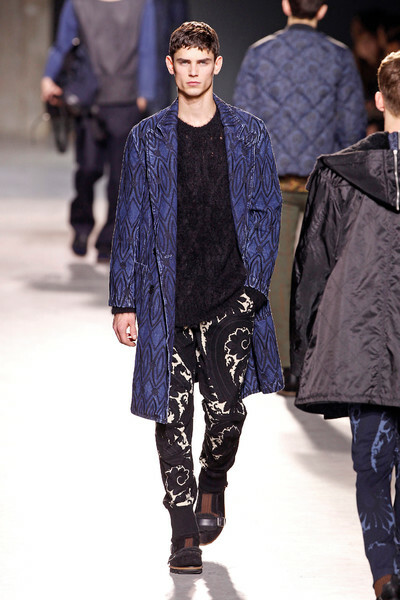 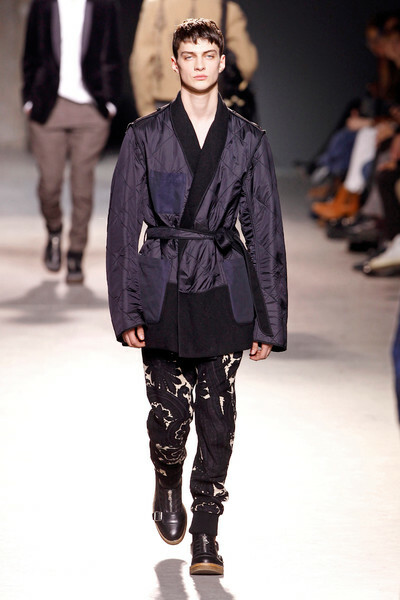 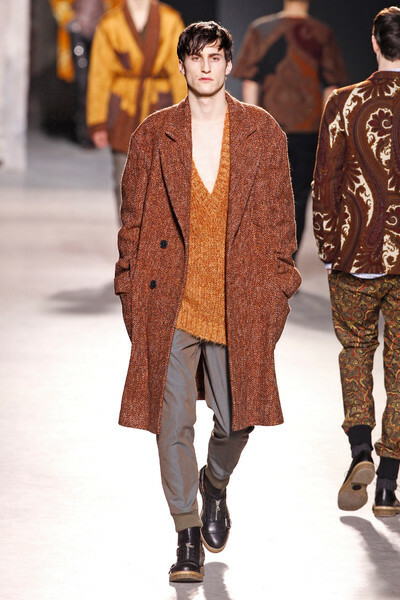 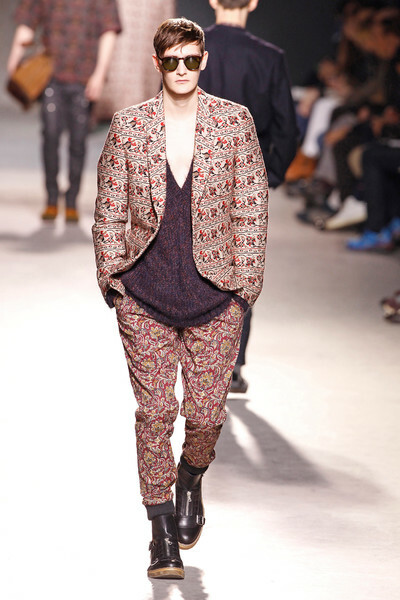 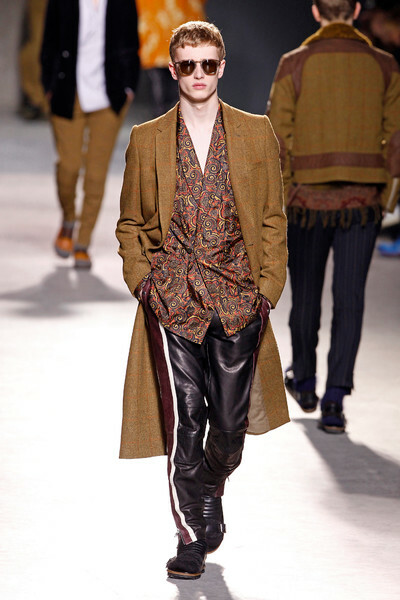 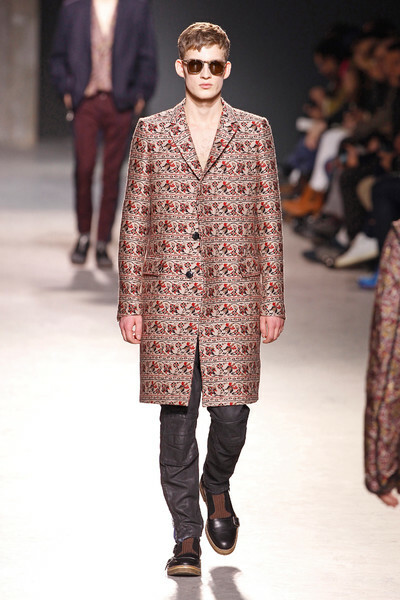 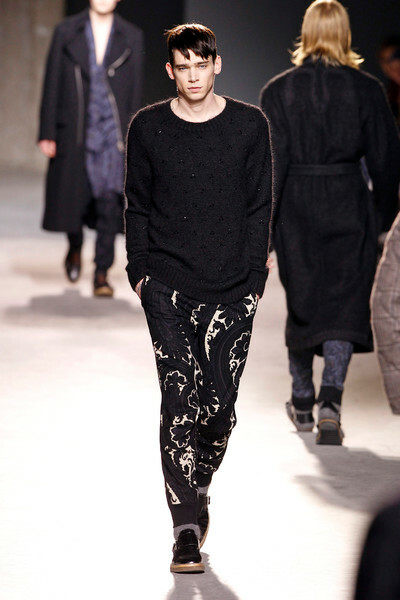 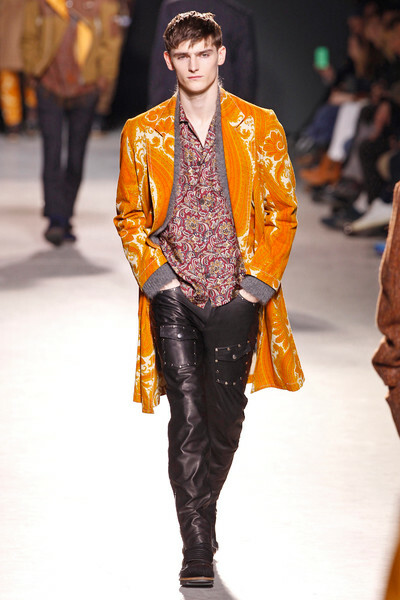 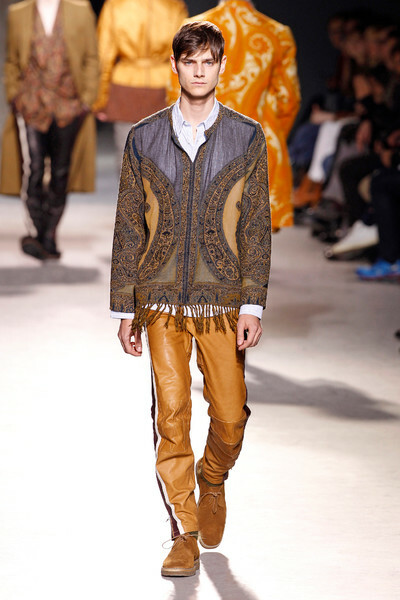 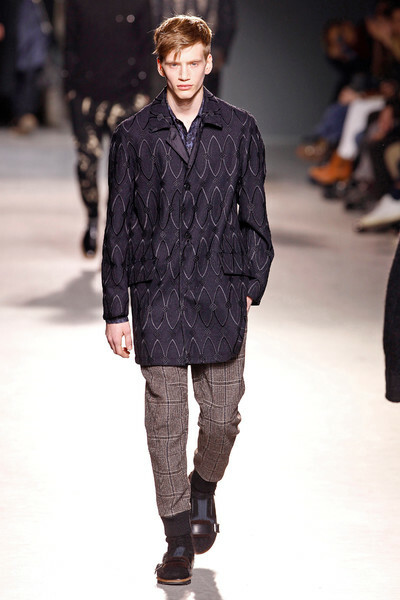 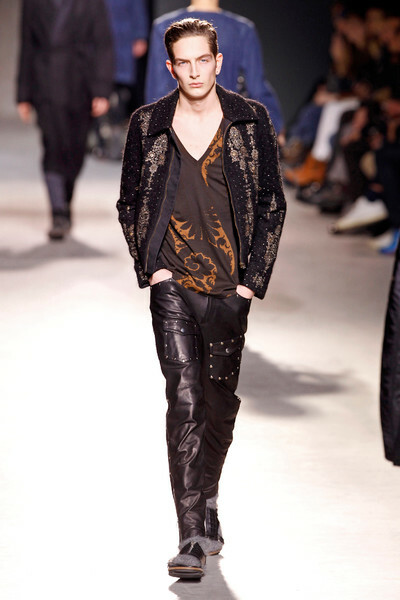 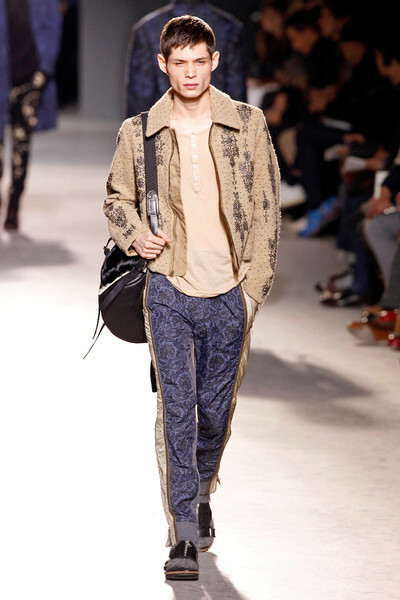 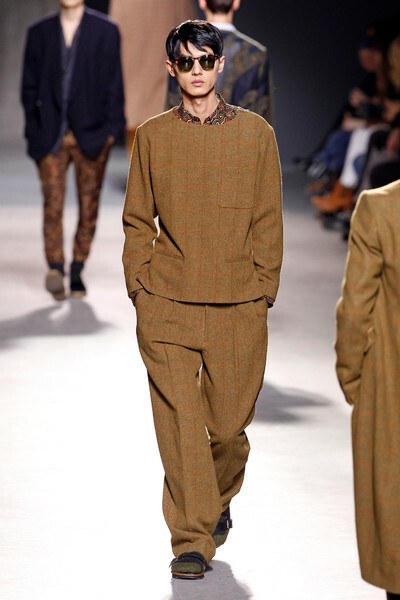 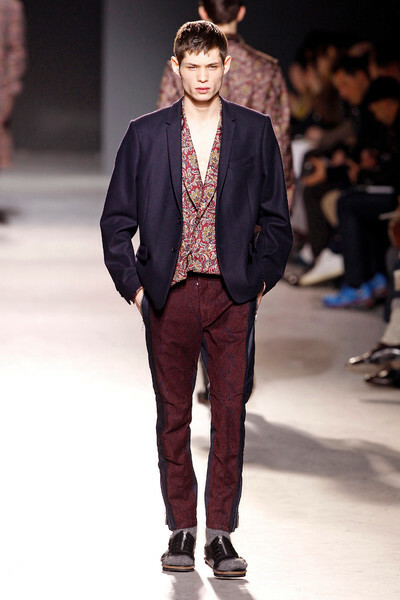 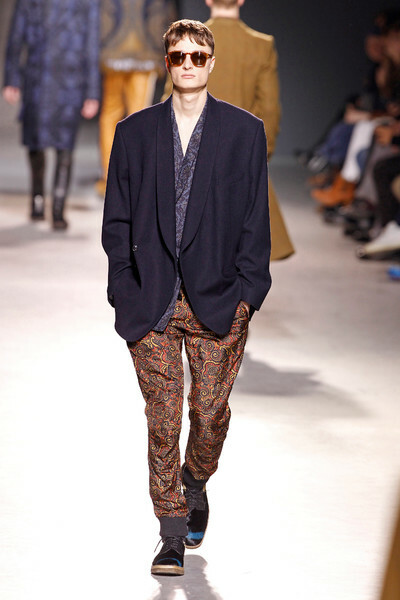 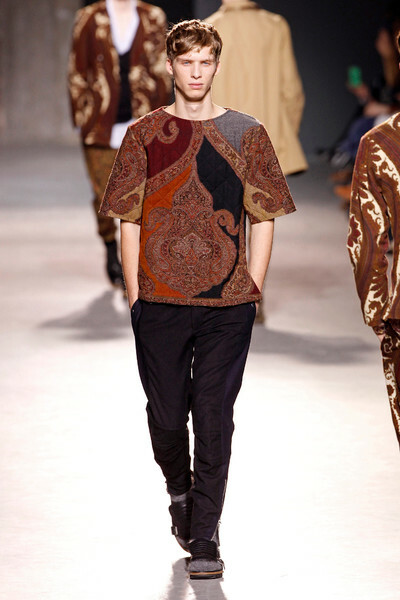 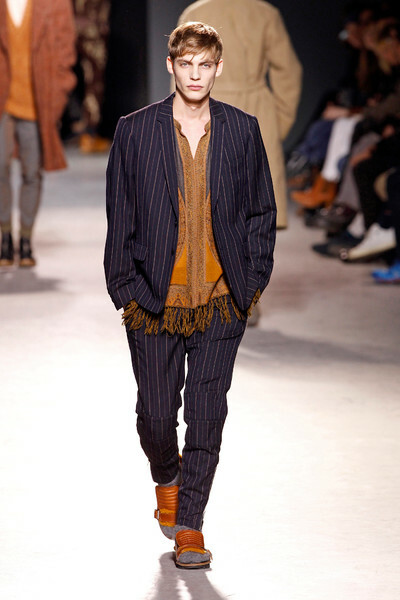 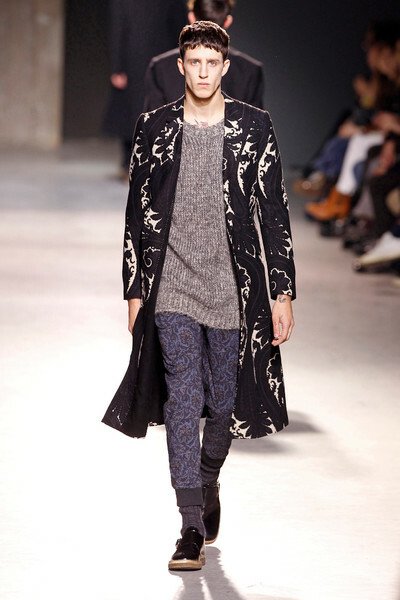 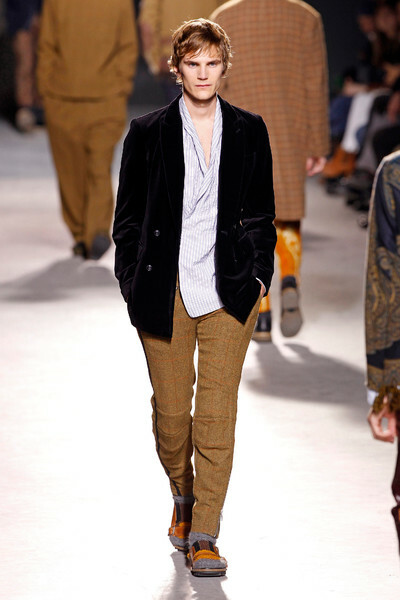 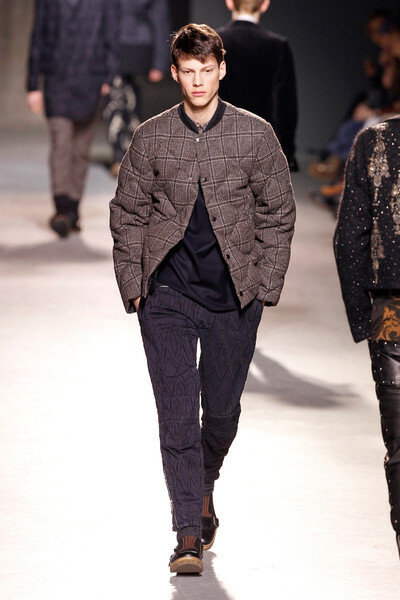 Dries Van Noten opened with upcoming season’s hit item; a robe-like jacket with foulard prints in rich colors. 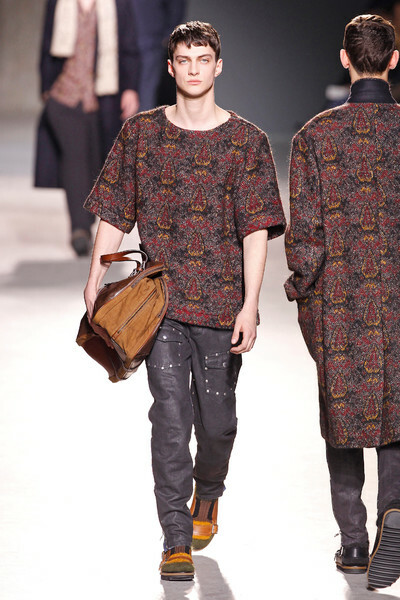 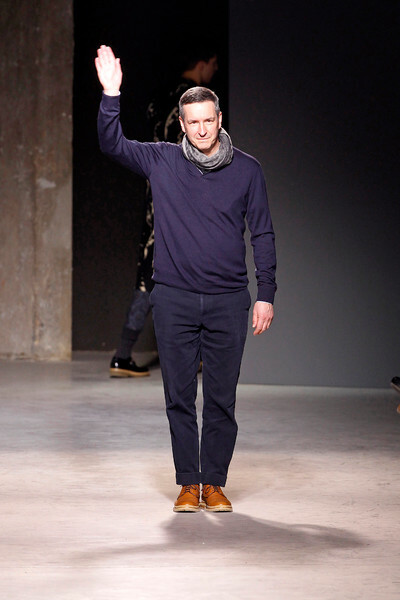 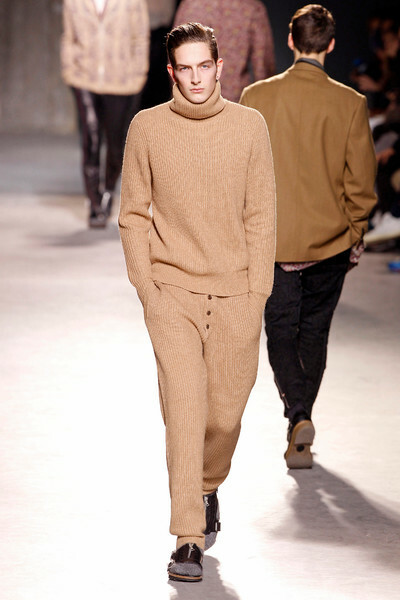 And that sure wasn’t the only success item in this Dries collection. 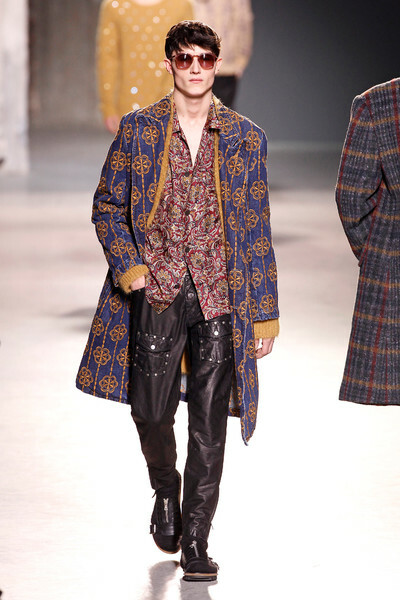 Perfectly dressed, relaxed models sported studded leather pants that slightly contrasted with the easy breezy silk printed pajama-like blouses. 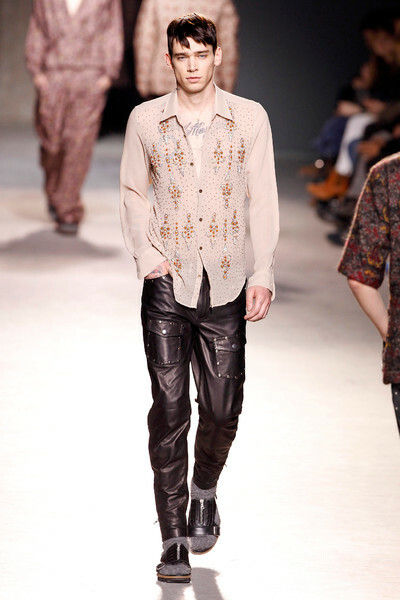 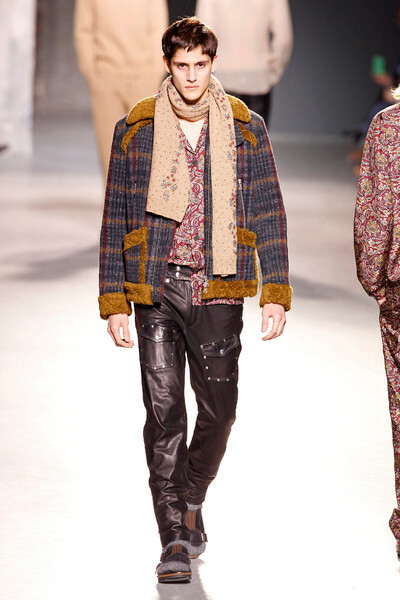 Loose fits, fringes and seventies shades gave the collection a hippie chic kind of feeling. 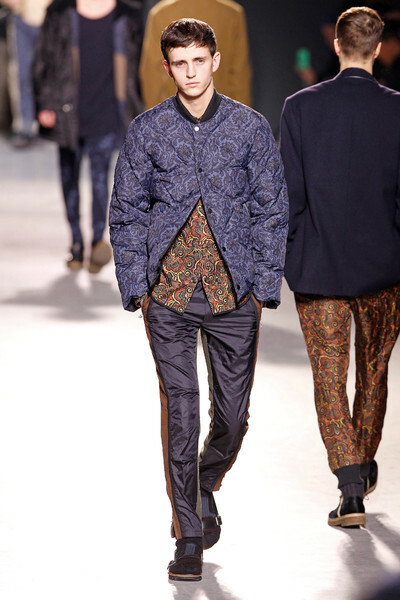 Yet quilted bomber jackets and biker jacket details kept it modern. 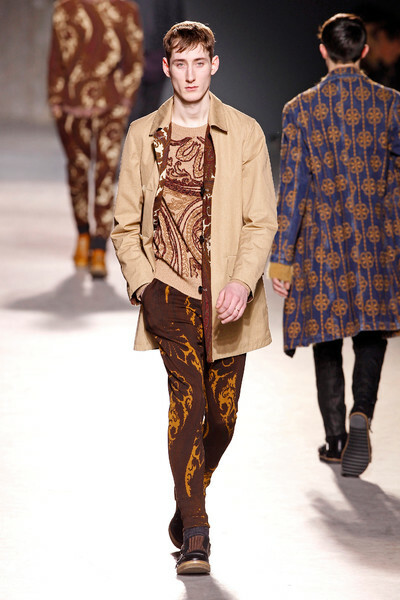 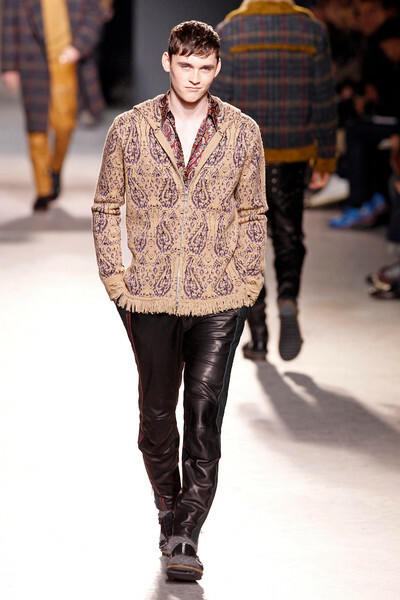 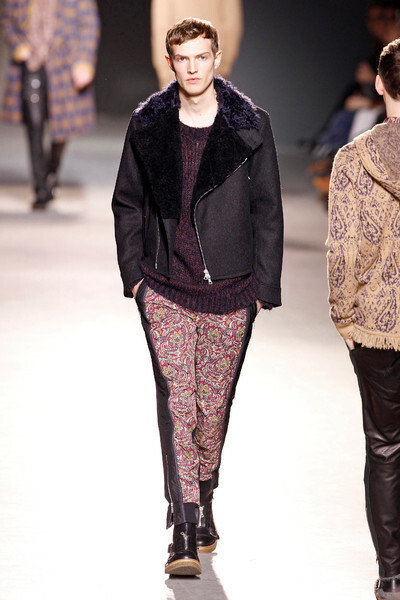 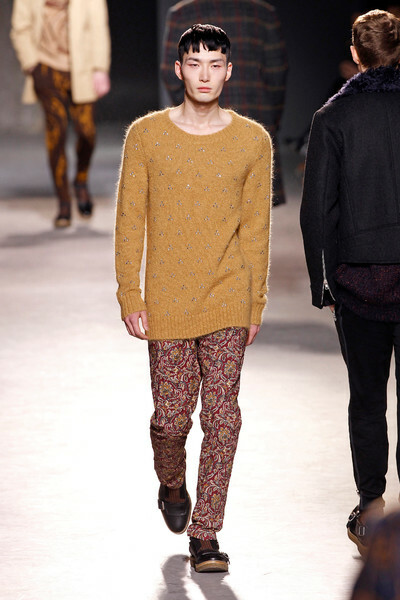 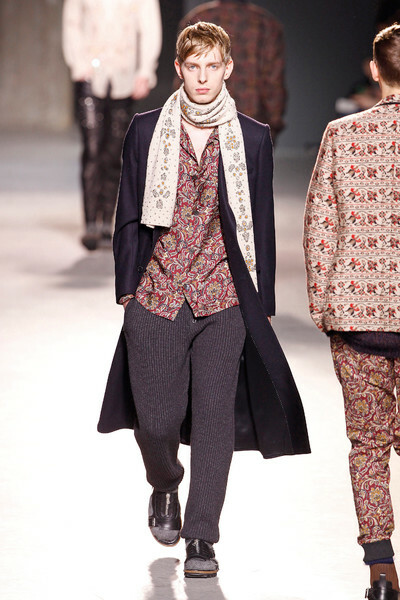 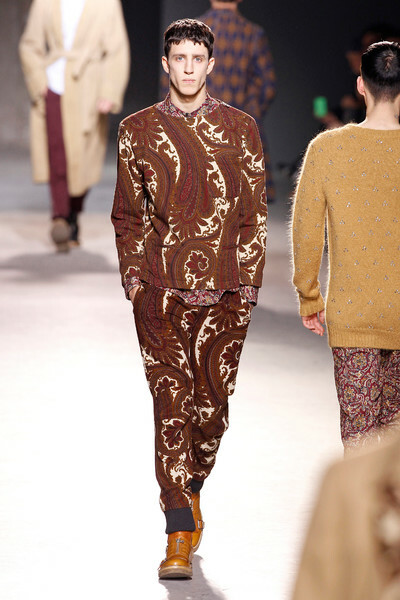 Etro-style paisley prints perfectly worked with a variation of tweeds and checks. 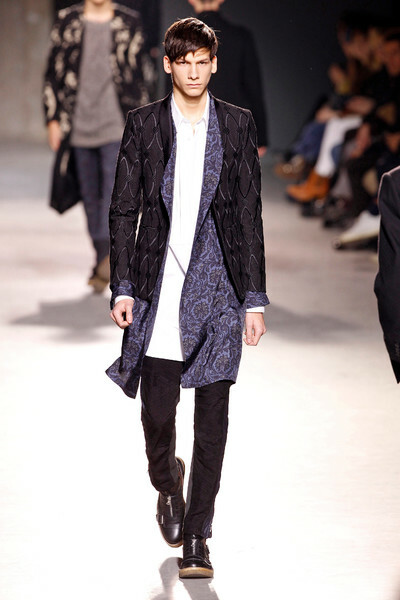 It was one of those collection that just feel right, beginning to end. 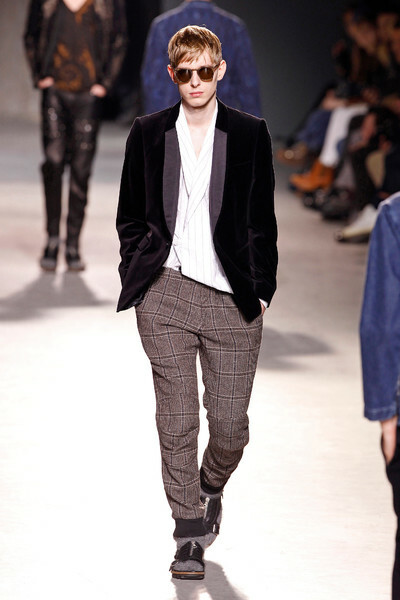 No trying to hard, just comfortable, beautifully made menswear pieces with the right amount of edge to keep us interested.